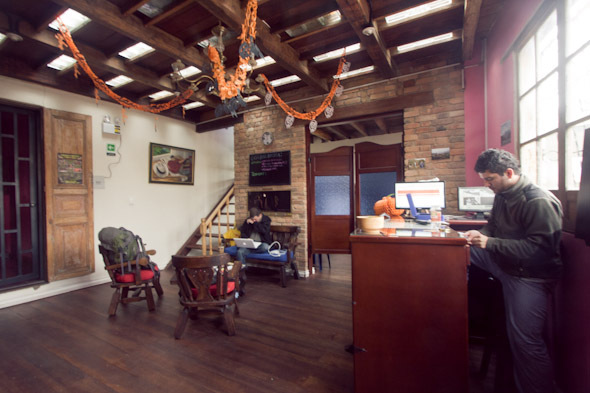 My thoughts on the best hostels in Colombia may not be the same as what others feel. Although so many people have misperceptions about the country, few know the real facts about Colombia. I don’t look for a place to party or score cheap drugs. I’ve seen the good, bad and ugly and have never felt the need to share other than a very early post to reassure loved ones that hostels are a great place to stay. 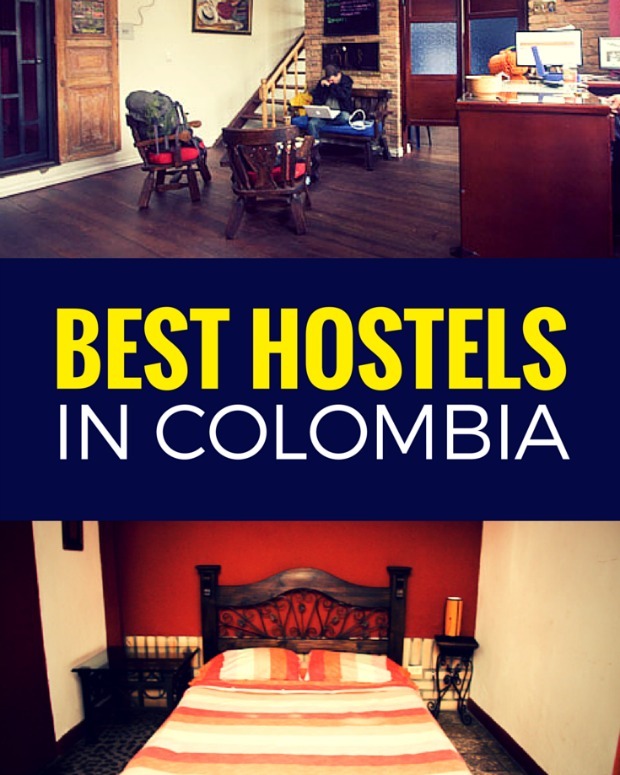 But in Colombia I stayed in 3 memorable hostels that don’t receive much attention as they aren’t party hostels and I wanted to share them for those that may traveling to Colombia. I’ve been telling all the travelers I meet and finally I just decided if I felt so strongly about it I should write a post. Tostaky’s was part of the reason I stayed so long in Cali. Vinz, the owner, is from France and runs a very clean hostel. There are only about 15 beds total, 4 in a dorm and the rest in rooms for really low prices. I moved to a private room after being in the dorm for a week and really loved it there. While everyone stays at Plantation House, La Serrana has been noticed because a visiting chef was creating 10 course meals. Although Chef Joseph has moved onto the coast I still recommend this hostel. About a ten minute walk out of town on a farm and reminds me of a large farmhouse and is so comforting that I spent one afternoon just curled up on the couch reading. Although it’s a bit chilly, I had no problem getting another blanket. Luis, the hostel owner, is actually the reason I decided to write this post as his hostel is not full and it really should be. I found Casa Bella Vista while walking through the Canderlaria. It’s only been open for 3 months and as I was reading the hostel sign Luis invited me in for a tour and offered a desperately needed map of the city. He was so nice to share the best things to do in Colombia. There was no hard sell, he just showed me around and the next day I moved in.With two small dorm rooms it’s perfect for people who want to chill out. – Police are generally stationed only a few feet outside its doors. NOTE: Since I visited I heard the hostel turned into a party place so it may be a good idea to check TripAdvisor reviews before booking. This is awesome… I might’ve mentioned this before but Colombia is our first stop on our RTW trip next year so all of your posts from the country have been super helpful (especially the list of slangs). Cheers! Hotel/hostel reviews from bloggers you follow are a god send. I’ve had a few misadventures when I’ve relied on reviews from some of the booking sites. This is probably something we should all do from time to time. Thank you so much for posting this. we head to south america in about 3 months, so will definatly keep this in mind. The good people at Casa Bella Vista were very friendly and helpful. Glad you stayed there and ditto on La Serrana. Great recommendations. We had a few places we loved while in Colombia as well. The people are just so friendly and welcoming, and that makes such a massive difference in how I view a place. It can really just put it over the top, as it seems it did here with you. Thanks for the recommendations. Wow a great selection of hostels. The bed in that second pic looks amazing! Wow, the rooms in Tostaky’s don’t at all look like a hostel–more a mid-range hotel. And so cute, too! Always enjoy reading your articles and reviews. These places look very nice. I think it’s great for you to share this information with travelers. I’ve never stayed in a hostel, but I do know that the quality can really vary. Clean, quiet and with all the facilities you need. At least they appear to have a lot more room than the 6 beds in one room we stayed at in Scotland. i have stayed in about a billion hostels over my time, and can i say that these look WAY too good. where is the mould dripping down the walls, the empty bottles of cheap rum and the overflowing toilets? ha. i do find it weird that some of the best ones arent full. i think the dreaded lp has a bit of a role in that. good work on getting these ones out there! Those don’t look like the kinds of hostels I stayed in after college in Europe! I’m especially surprised being that they’re in South America. Thanks for the tip! When I (someday) make it to Colombia I’ll check ’em out! I think because in South America hostels are a fairly new phenomena so they are built with modern conveniences in mind. I agree! These are gorgeous! Thanks for sharing, I will definitely check these out if I ever make it to Colombia. Awesome! I didn’t stay at La Serrana as I hadn’t heard about it before but I did meet someone in town who was staying there and it sounded so nice I decided to take a walk out to see it. Very nice indeed. I am also glad you found a great place in Bogotá as I heard mostly stories of disappointment for most of the “highly rated” hostels in that city. The Queens Size Room looks very classy and clean. I would like it too. La Serrana sounds like an awesome place. Glad you had fun there. I love La Serrana in Solento! What a great place to stay a week and chill out. And the views are fantastic. I know how it is. It takes a lousy hostel to entice a person to write reviews of better ones! You are all welcome to stay with us anytime at La Serrana. And yes it really is that nice. $10 per night. I met Chef Joseph in Medellin, amazing chef! Also stayed in Bella Vista over Christmas. I had trouble in Bogota, but Luis was amazingly friendly and helpful. I’ll be in Colombia soon and I had bookmarked this page. I completely agree it is such a special place. My boyfriend is going to love this! He really wants to go to Colombia, and it’s always good to have an idea of what to do and where to stay! So happy to hear this. I just heard back from a couple that went to Tostaky’s and said it was the best hostel of their vacation so I’m happy it’s still as good as I remembered. This is great! I have stayed at La Serrana before, but I’ll have to check out the other two places when I head back to Colombia next month! We love Tostaky in Cali too! Fantastic setup. I would highly recommend Masaya in Bogota over Casa Bella Vista! 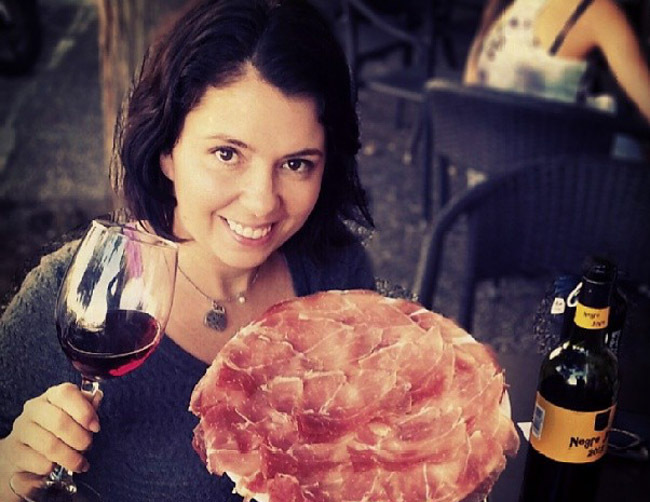 In Manizales, The Secret Garden is a gem, it’s also a Bistro. I would never go to hostels. Especially not in Colombia! Great recommendations! Thank you so much for posting this. I hope these hostels still stand! We just bought flights to Colombia, heading there after Bolivia. Excited now! Thanks for sharing! I’m colombian, the last time I went to Salento I stay in a old house near the main square (not such a great idea) La Serrana sounds like a lovely place, if I go to Salento again I’ll check it out.